We are up to 16,000 relatives on our tree!!!! Surprise! 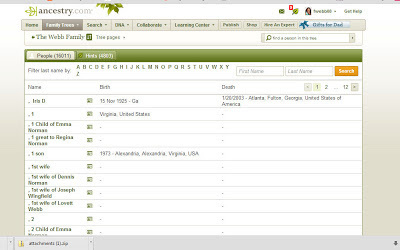 We are up to more than 16,000 relatives on our family tree. I guess anyone who really thinks about it will realize they have more than 16,000 people to which they are related. However, how many of those people have documented evidence, hmmmmm? Well, we do! Thanks to all of the people family and friends who have helped with stories, pictures, sharing their trees, and resources we are now up to more than 16,000 relatives, documented on the tree with more being added every day.